Today we went to visit folks at Casa de Manana. I had the pleasure of speaking to a man in his 90s who was involved in the US Navy for most of his life. During my time there, Edward shared with me his rich life experiences. I learned that he traveled to many parts of the world and worked various positions in his life, most of which were related to education. He also shared with us his passion for photography and how he once considered being a photographer for National Geographic. It was really interesting to hear about Edward's experiences growing up in Hawaii and how it was almost a given that he would follow his father's footsteps of going into the military. I'm glad I was able to spend time with Edward and share bits and pieces of my life with him and vice versa. In the midst of our discussion, Edward talked to us about career prospects as many of us are graduating seniors. I think it was at this moment that I realized how different the job market is for us now compared to back then. In response to many of us telling him that we did not yet have jobs lined up for post-graduation, Edward replied that we "better hop on it." I know he didn't mean harm with that comment, but it definitely induced a lot of stress and anxiety for me at the moment. I don't know if older folks understand the employment struggle a lot of people in my generation are currently experiencing, but it is a very disheartening process, to say the least. I am not sure if people think that we're just being "lazy," but I can personally attest that this is not the case. Encountering job listings for entry-level positions that require bilingualism and years of experience while compensating with salaries that are barely over minimum wage has left me feeling like my Bachelor's degree and years of hard work in higher education are virtually worth nothing. To top it off, people simply scrape up our lack of employment to the fact that we simply are not trying hard enough. Sorry if this seemed like a vent, but it has been quite a stressful quarter trying to finish up my degree, working part-time and trying to find a full-time job post-graduation. I feel happy for older folks because they did not have to work so hard to find a job back in their days, but times are different now and I just wish more people understood that. Today we went to visit folks at the Bayside Community Center! I had the pleasure of speaking to two women who had very different experiences growing up. The first person I spoke with was Lisa, a Filipina woman who immigrated to the United States in her 20s. She told me that she studied nursing in college before immigrating to the US and practicing. Something that really struck me was how she talked about only having to focus on her studies while she was in school and never having to work out of necessity. Her first and only job ever was being a nurse. This was really surprising to hear given that most people these days work multiple jobs before finally settling on their lifetime career. After telling me about her younger days, Lisa agreed to contribute a recipe to my cookbook project. She shared with me how to make pinaket, a famous Filipino dish from the northern region of the Philippines where she is from. The second person I spoke with was Zenny (I'm sure I'm misspelling her name so please forgive me). She also immigrated to the US from the Philippines after studying agriculture in college. She told me about how she worked for one of Jack in the Box's offices after she moved to the US and how the company treated her very well. Something I took away from our conversation is the importance of giving back to the community. She told me about how she donates money and volunteers for causes that mean a lot to her (e.g. Operation Smile, sponsor programs). When we had to say goodbye, she gave me a hug and a kiss on the cheek, and I think this moment of shared affection and love will be something that I will remember for a long time to come. This quarter I decided to dedicate my healthy aging project (HAP) to collecting recipes with significance and memories attached to them from older folks and documenting these recipes in a cookbook that will later be printed and distributed to contributors and the general public. Along with each recipe, I hope to attach a small paragraph or description of the contributor and what that recipe means to them. Through this, I hope to highlight the importance and intersectionality of culture, tradition and cuisine while also encouraging younger folks to learn how to prepare these significant dishes so that these recipes stand the test of time and live to tell meaningful stories through their continued creation. Today I had the opportunity to further flush out my healthy aging project proposal in greater detail. I think having this time in class to focus on and talk to my professors about my project really helped me figure out the immediate next steps I need to take. Also, I was able to gain insight on how the logistics and funding for printing the cookbook would take place. I definitely think my biggest challenge will be working to gather recipes from all the people who are interested in contributing. This is something that I believe should be done in person with a student recording and writing down what the older person is sharing. The only drawback to this method of collection is that it is very time-consuming and requires a lot of hands on deck. Even though I am only one person, I fortunately have very generous classmates who have already offered to help me with my project! Now that my vision for the project has been further clarified and is becoming increasingly more achievable, I am excited to get started and hear about all the wonderful recipes people have to share. Today we had NAP presentations in class, and I just wanted to take a moment to reflect on my experience with this project. Prior to this assignment, I had never visited Hillcrest. I knew it as a city filled with coffee shops to study at and the place to be for clubs and bars. I wasn't quite sure what to expect, but the city certainly lived up to my expectations and more. With the horrible parking situation, cracked sidewalks and pricey housing, Hillcrest definitely had a downtown feel to it. The homeless population in this city also seemed to be higher than usual, which is characteristic of anywhere downtown. I appreciated how I was able to walk around the city without feeling out of place or that I had to have a car to get around. In that sense, the walkability of the community was good. I liked the community vibe and how accepting, supportive and loving it was. The community centers we visited were well-thought out and heavily utilized by the community and surrounding areas. The SD LGBT Community Center especially surprised me with all the resources and services that they provided. ​Overall, I enjoyed learning about Hillcrest and know that I will find myself exploring more of it in the future! The current events presentations today really resonated with me as they highlighted multiple issues with our health system and job market. The first presentation about the senior job fair addressed problems related to ageism and insufficient living wages and salaries. This topic reminded me of multiple times in my life in which I witnessed firsthand instances related to the difficulty of finding a job due to ageism and older folks working past retirement age out of necessity. For example, around the time I had just completed elementary school, my father was laid off from his position as a computer technician. At that point, he was in his early 50s. Despite his work experience and refined resume, my father struggled to find a job for an entire year. Fortunately, he was eventually offered a position by a family friend, but I wonder how much longer he would have had to have been job searching had it not been for this stroke of luck. ​Aside from that, I have also had experience working with older people who work part-time out of necessity. One of my first jobs was in retail at Knott's Berry Farm, and I was assigned to Virginia's Gift Shop, a store known for selling collectibles and fine gifts. Having worked with younger folks in other areas of the amusement park before, I was taken aback by how many older people were working at Virginia's at the time. The older folks by far outnumbered the younger adults working at the store. Because I worked there for almost a year, I got to know the older people and found out that many of them worked to support their children and grandchildren and simply pay the bills. These older folks were experts in retail and really knew the products we sold (especially the Lladro figurines). To me, they were living proof that older people could do just as good, if not better, in retail than younger folks. Tonight we spent time dancing with the folks at Casa de Manana. It was a beautiful night filled with live music, dancing and giveaways! I think the set up of the room came out nicely considering most of the decorations used were things that Casa already had on hand. The decorations were fun and creative (especially those foldable cars! ), and the photo booth with the strung up car lantern lights was truly one-of-a-kind! I really felt like we transformed the place from an ordinary conference room to an exciting rock and roll dance center. As my professors could probably already guess, my favorite part of the night was an unexpected, pleasant surprise. I had the pleasure of meeting and befriending a sweet older woman who is 85 years old. 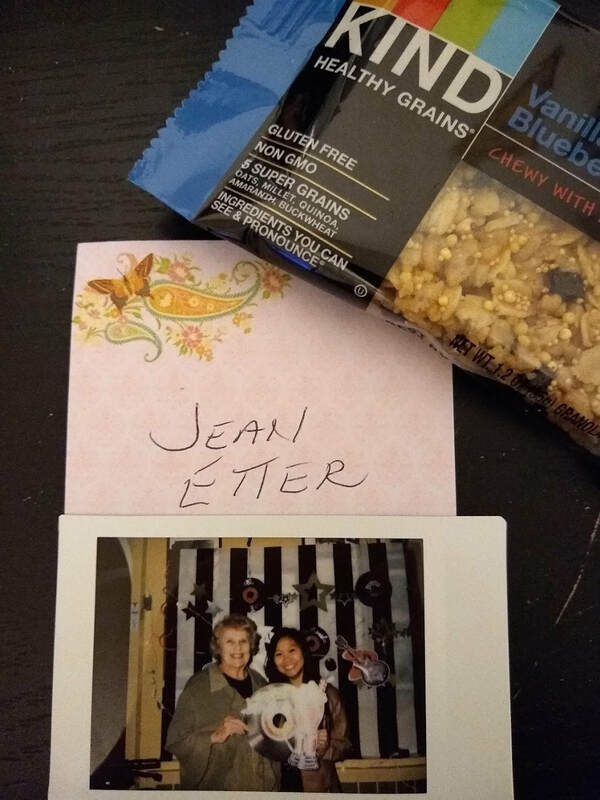 Her name is Jean Etter, and she shared with me how her granddaughter recently graduated from UCSD in the same college as I am in (yay Muir!). 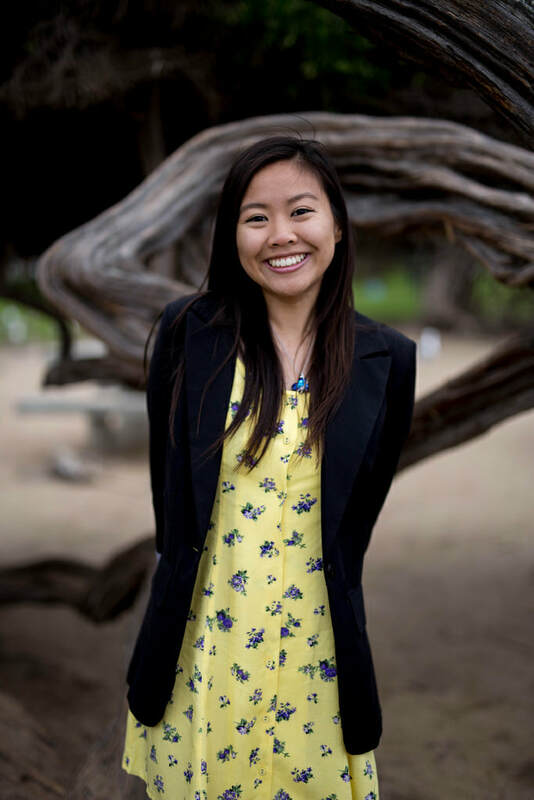 Surprisingly, when Jean showed me a picture of her granddaughter Kylie, I recognized her as one of the OL's for my orientation when I first came to UCSD. Jean was overjoyed to hear that I had definitely seen Kylie around on campus during my time at UCSD, and she shared with me all her granddaughter's accomplishments. It was so heartwarming to see how Jean's eyes lit up when she was talking about her granddaughter and how proud she was of her. I told Jean that I would definitely find a way to connect with Kylie and share with her how I had met her grandmother at Casa de Manana. Jean was pleased to hear that, and we both have a Polaroid picture with each other so that we can show Kylie when either of us sees her. ​Aside from talking about her granddaughter, Jean told me about how she used to be a high school counselor for PV Peninsula High School, a school which I am actually familiar with from my speech and debate days in high school. Naturally, she began asking me about what I study in school. I shared with her how I am currently a fourth year at UCSD studying public health and anticipate graduating in a few months. The post-grad job hunt has been a little stressful, but Jean gave me some helpful tips and reassured me that I would definitely be able to find a position in my field of interest. She even offered to connect me with one of her friends who is the head of Kaiser Permanente. Her love for counseling and advising clearly showed as her genuine concern and kindness shined. Before Jean left, she gave me her contact information in case I ever needed to reach her and a KIND bar. Needless to say, I left Casa de Manana with a new friend and a very full heart. I hope to visit Jean soon and have more fruitful conversations with her. I appreciated having the time today to reflect on our visits to senior housing options throughout San Diego. It was helpful for us to debrief about our trip to Casa de Manana because we will be visiting again very soon for their dance. Speaking of which, I am really excited for our upcoming events at Casa de Manana and the Gary and Mary West Senior Wellness Center. I hope the seniors are looking forward to these dances as well! The current events this week brought up two very different but important topics of discussion. Self-negligence is a very real issue which often goes unnoticed for a long time. It frequently goes hand-in-hand with depression, a condition in which seniors may suffer with that prevents them from performing their routine day-to-day activities. Seeing as how ageism and the culture surrounding aging are against seniors, it is no wonder why they might find it hard to find the motivation to simply live. With this in mind, I think using robots to assist older folks would be a beautiful thing to see in the near future. Robots could help older people with a variety of things ranging from medication reminders to basic human interaction. With some more thought and careful planning, I see great things happening in the future with robots being used to help older folks. 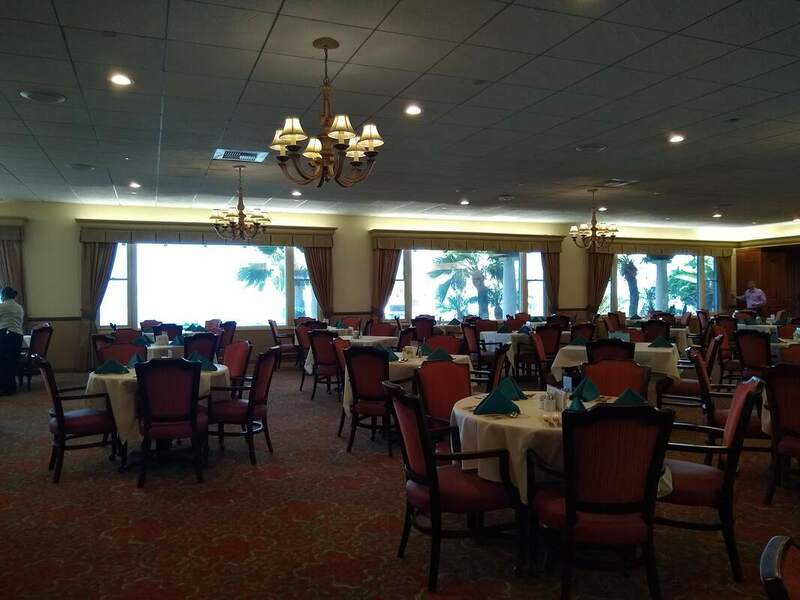 ​Planning for the Senior Prom for the West Center has been going well, and I am happy to see everything coming together. I received my first donation this past week and am hoping that more will be on the way this next coming week. I really enjoyed every bit of today's class. Starting with the current events, I liked both presentations regarding the different aspects of house-sharing, also known as co-housing. This concept seemed really interesting and practical as a solution to loneliness and isolation among elders in the community. Of course, the housing pairings and possibility of elder abuse need to be taken into consideration, but I think that this idea could bridge the gap between seniors and younger folks while benefiting everyone financially. With some development, I think this idea could blossom into something truly beautiful for society, and I am excited and hopeful for this to happen. The oral history presentations were so special and heartwarming. I loved hearing about everyone's experience with the process and their EP's story and memories. Honestly, I was a bit skeptical about this assignment in the beginning, but after hearing what my fellow classmates had to share, I felt so thankful to have done a project like this. I also thought it was so kind of Trish to come by and sit in on our presentations. ​The Selling the Fountain of Youth presentation also had me thinking a lot about how the negativity surrounding aging has been crafted by society and businesses. I have been wondering if the ageism in society could ever truly be solved given how dominant this view of aging is currently. Also, because ageism is a kind of discrimination that takes a backseat to issues like racism and sexism, will it ever receive the attention that it needs to be resolved? I am optimistic that, in the future, ageism will not be as prevalent as it is today, but I do not know how far into the future that will be. Today was the first time we had class on campus in a long time. It felt a bit off because I was so used to going on field trips to senior centers for this course. Regardless, today's class definitely took me by surprise upon hearing about all the various upcoming assignments and presentations that are due. I definitely was panicking for a while trying to figure out how I was going to survive the next few weeks. Luckily (or maybe not so luckily), some of my peers were in the same boat and we were able to reassure each other that we were not alone in this struggle. Aside from being slammed with assignments left and right, I enjoyed the current event presentations. I thought that they were very informative, relevant and important. They especially reminded me of important themes that I have seen in this course: celebrating the independence of elders while still keeping in mind their limits, caring for our elders by keeping them in the company of younger folks and making sure that people who care for elders have the resources they need to care for themselves. I'm looking forward to seeing the rest of the current event presentations in the coming weeks! ​Lastly, I'm glad we were able to finally start working on planning the Senior Prom for the Gary and Mary West Center. Everyone had really great ideas for the theme, fundraising, decorations and food, so I'm excited to work with everyone to put together a really great and memorable event for the seniors. This morning we went to visit Casa de Manana in downtown La Jolla. The actual building itself looked quite ordinary from the outside, but it looked stunning on the inside. It had a beautiful view of the shore and some sea lions. The walkability of the surrounding community was impressive as it included fresh air, benches and railing where needed. The common areas and facilities inside Casa de Manana were clean and well-maintained. I could definitely feel the hotel vibe that the woman giving us the tour was talking about. All the seniors I saw looked happy to be there and appreciative of all the amenities that were offered. They also had the opportunity to continue reading and learning from all the books and activities that were offered. From the seniors we engaged with, I could tell that everyone in this senior living community was well-educated and enjoyed having the ability to continue growing their brain and worldly knowledge despite their age. ​Even though it was delightful to see all these seniors here living their life to the fullest, I was sad to see how vastly the living conditions differed for high-income seniors compared to those living below the poverty line. It felt almost unfair that there are people who live in luxury with unlimited access to meals, pastries, coffee, tea and water 7 days a week when there are people who are only offered 2 meals per day for 5 days a week. The vast difference between living expenses and rent also surprised me (~$800/month for affordable housing units compared to $3,500-12,000/month for a studio/villa at Casa de Manana). All in all, I left Casa de Manana feeling very conflicted with a mixture of feelings.